As Saint John continues to deal with the aftermath of Monday's fiery explosion at the Irving Oil refinery on the city's east side, some residents were shaken by another blast at the American Iron & Metal recycling plant on the west side Tuesday afternoon. 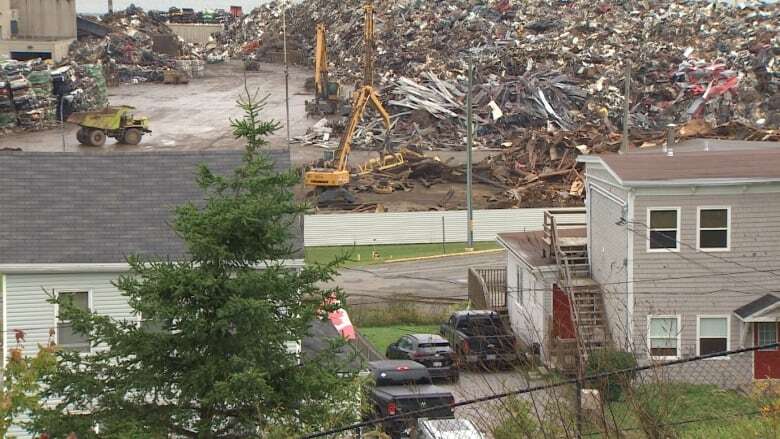 As Saint John continues to deal with the aftermath of Monday's fiery explosion at the Irving Oil refinery on the city's east side, some residents were shaken Tuesday by another blast at the American Iron & Metal recycling plant on the west side. Gary MacDonald says he was working in his uptown waterfront condo, located across the harbour from the scrap-metal shredding and export facility, around 2:20 p.m., when he felt "a dull thud" and heard his windows rattling. He jumped up to look out his living room window and saw a telltale plume of white smoke rising from the American Iron & Metal, or AIM, site. "For me it is becoming kind of a normal thing — and that's not a good thing," said MacDonald, who has witnessed several explosions at AIM in recent months, including a "significant" one on Sept. 14, which he described as sounding "like a stick of dynamite going off." Tuesday's blast was "moderate" in comparison, he said, but similar to what he felt from Monday morning's refinery explosion, which sent flames shooting an estimated 30 metres high and saw at least four contractors treated in hospital with minor injuries. "This is not right," MacDonald said. "What do we do to address it and how can we address it in a reasonable fashion to satisfy everyone and protect the health and safety of residents?" 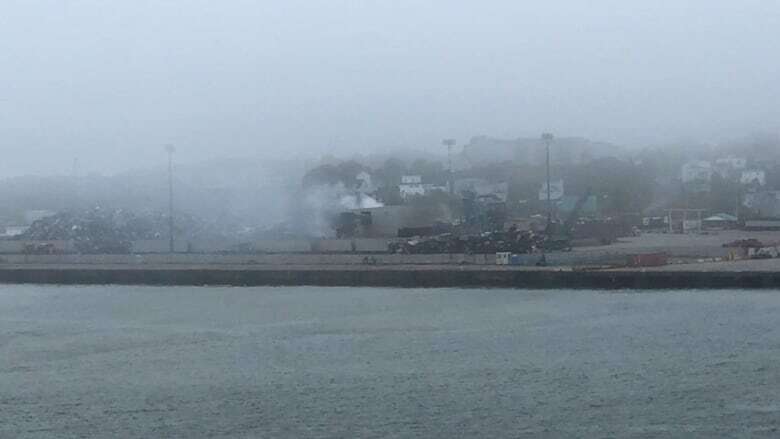 Port Saint John, which is leasing its federally owned land to AIM, confirmed there was a "small explosion completely contained within the shredder" at around 2:22 p.m. AIM's site manager Kevin Hughes described the incident as "an infrequent impulse noise that resulted from a contained single burst of pressure following the shredding of some material." "AIM is conscious that the city is on high-alert following the unfortunate explosion at the Irving Oil refinery yesterday," Hughes said in an emailed statement. "It is important to note that the equipment is designed to withstand the bursts of pressure and these bursts are not a threat to the public." Saint John Mayor Don Darling, who learned of the blast through CBC News, said he was "disappointed" to hear there was another incident at the facility. City officials met with port representatives last week "with a goal of developing a new path forward," he said. "While we appreciate the industrial nature of our city, we must find a new balance, where people can live, work and play here and not be negatively impacted by industrial activity." Port Saint John continues to take the matter very seriously, said spokeswoman Paula Copeland. Port officials are working with AIM to develop "robust protocols in terms of communication with appropriate officials as well as the public," he said. "In addition, all parties are aware of the urgent need to mitigate the impacts from AIM operations." Darling has said he plans to have "focused discussions" with industry officials and review communications plans following a string of incidents in the city. Other incidents include the release of a mystery product from the refinery, and a butane leak at Irving Oil's Saint John East Terminal in January that forced 65 people from their homes for days. Irving Oil officials are still trying to determine the exact cause of Monday's explosion but believe it stemmed from a malfunction in a diesel-treating unit, which removes sulphur from diesel. The company issued a statement Tuesday, saying "the refinery as a whole is safe and the specific site of the incident is isolated and contained." The last "flare-up" or re-ignition occurred at 9 p.m. Monday, according to Saint John EMO officials. No air quality issues have been detected and crews working on the "turnaround" maintenance project were expected to be back on the site Tuesday night.